While some lacrosse coaches might rend their garments over their players’ obsessions with the video game Fortnite, others are using it to their advantage. 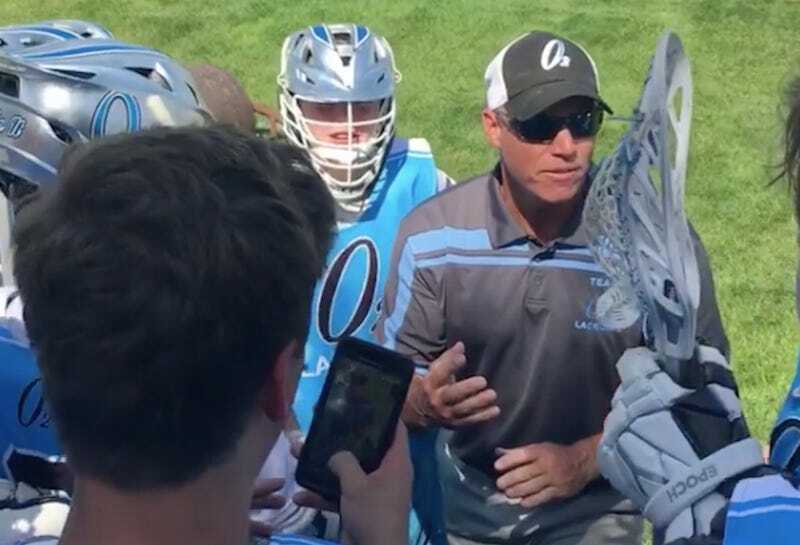 A reader sent in this clip of a Pennsylvania eighth-grade lacrosse coach who last weekend gave a pregame speech full of popular references to pump up the youths. Twenty-four teams came here, okay? This is just like Fortnite, just like Battle Royale. Twenty-four teams, there’s four left. But you know what? There’s four left, we got chug jugs, we got the Golden SCAR—[is drowned out by rambunctious teens]. Let’s go. It’s no different than a Fortnite battle! Let’s go win this, baby! This, and nothing else, was the reason why O2 Lacrosse won a title. According to the reader, the squad reached the championship game, rallied from a 5-1 deficit at halftime, and won 8-7 in sudden death OT. Those rascals love their chug jugs. Exasperated Lacrosse Coach Emails Parents: "Most Of Our Team Focuses On The Fortnight Video Game Instead"